$25Sponsor materials for one workshop! $50Support a guest speaker for one workshop! $100Fund transportation for all of the youth to on on a college tour! $500Sponsors 50% of the savings match for one student! and learn how to invest their resources back into their communities. Students who complete the program receive a match of up to $1,000 so by the time they graduate high school, they will have saved up to $2,000 to support their college expenses. 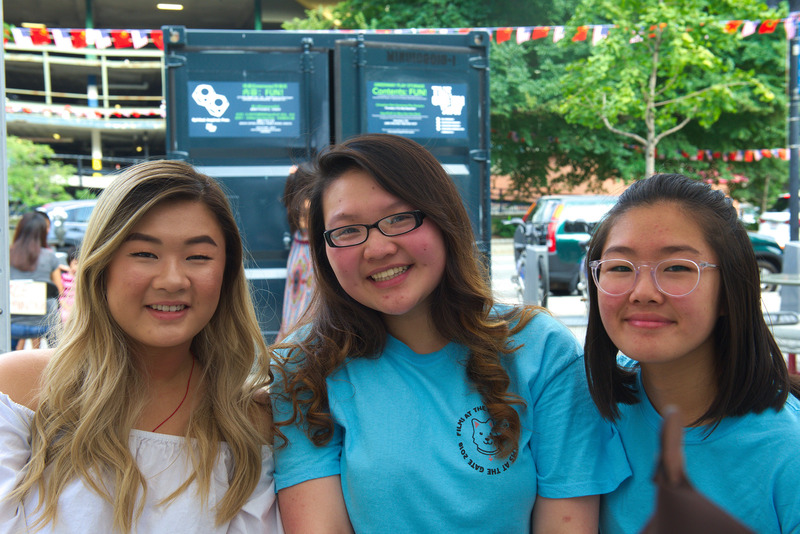 L to R: Sherry, a Blueprints Mentor with Eileen and Jennie, high school seniors who are Blueprints savers and are also community leaders! ACDC is a 501(c)(3) charitable organization, EIN 04-2988263. All contributions are tax-deductible.